March 25th – It’s been a busy week for me, but unfortunately, I’ve not been busy taking photos! I’ve been working on a 5 day Pinterest course to help me use Pinterest more efficiently. I’ve got lots of more Pinterest related work to do so it’s not looking good for next week’s project as and when, either! 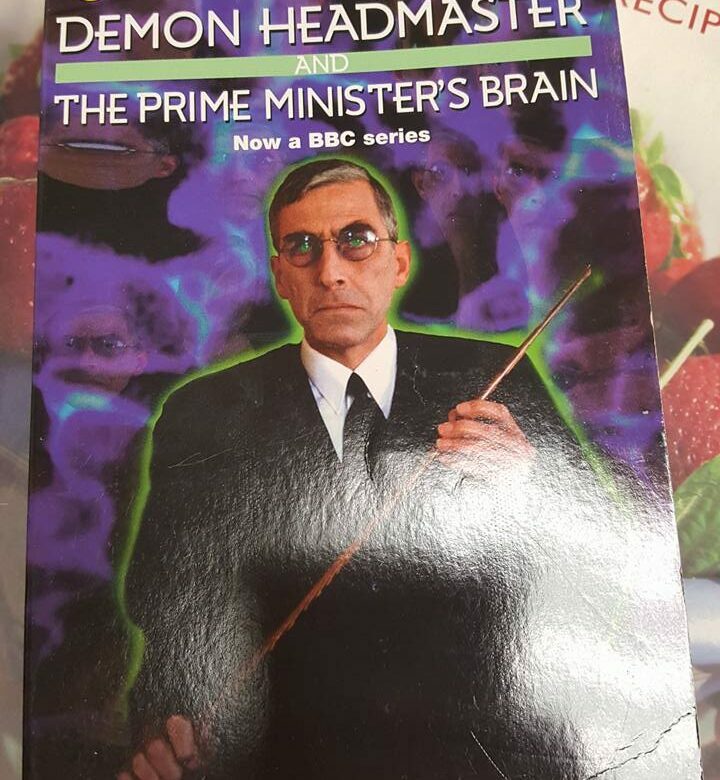 I saw this book at the charity shop where I volunteer. Ant refers to our Prime Minister, Theresa May, as The Demon Headmaster. When I saw this book I just had to take a photo for him! I didn’t actually take this photo but I figured as it’s on my phone I was going to use it! Ella loves taking selfies and I particularly liked this one.